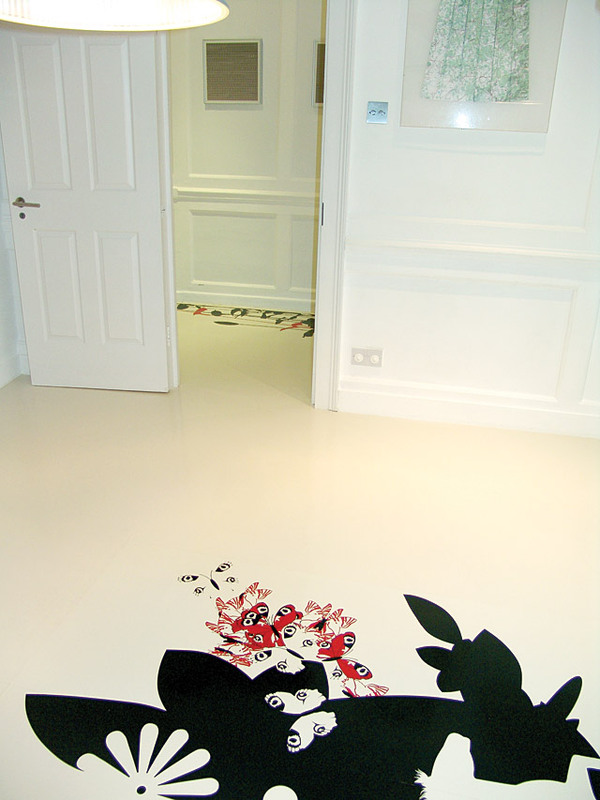 When we disovered that we could customise a high quality rubber floor by Dalsouple we just couldn't resist. ___ Our final artwork which was cut three times by our trusted custom floor production firm using black, red and off-white Dalsouple rubber. Individual elements were then put together again – very much like a jig-saw puzzle, really. 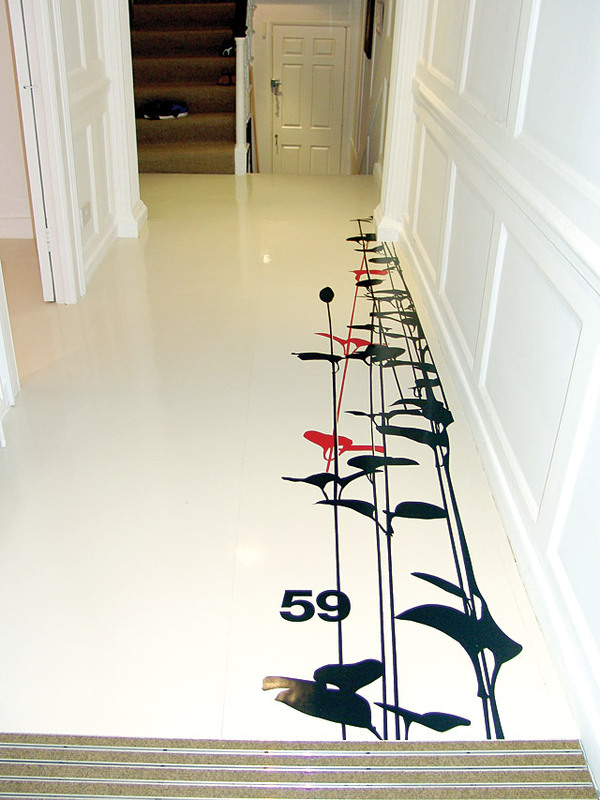 ___ Once the carpet fitters glued everything down we just had to wait a few days for the material to dry before the entire surface was sealed with a clear finish. ___ We did alternatively consider screenprinting the artwork at some point – bit by bit – onto white rubber flooring but no other technique compares to proper inlays. 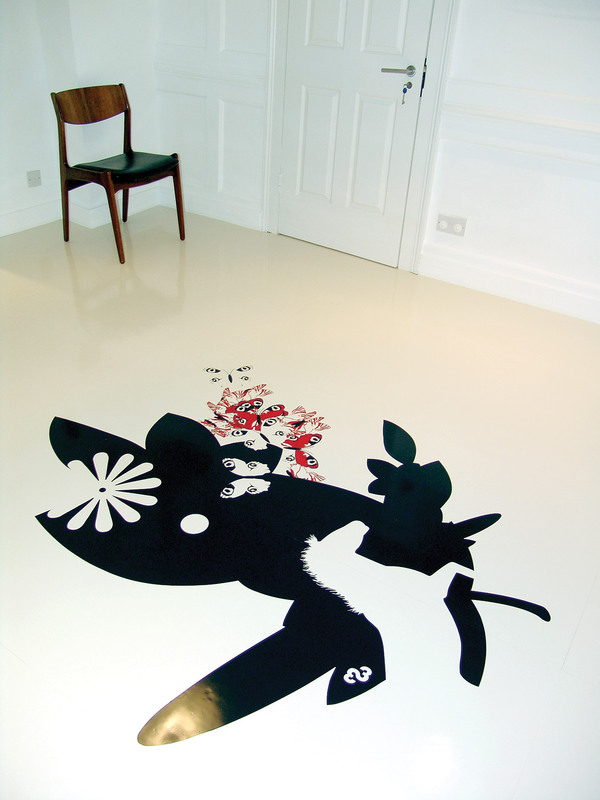 ___ The floor graced FL@33's Clerkenwell, London, headquarters between 2007–2014 when it was removed as part of general redecoration works. It proved to be durable, easy to clean and even after seven years its colours looked as vibrant as on the first day. The giant horse/butterfly piece was carefully removed and is currently in storage waiting to potentially be reapplied to a different space in the future. IS THIS TECHNIQUE SOMETHING FOR YOU? Please get in touch with FL@33. 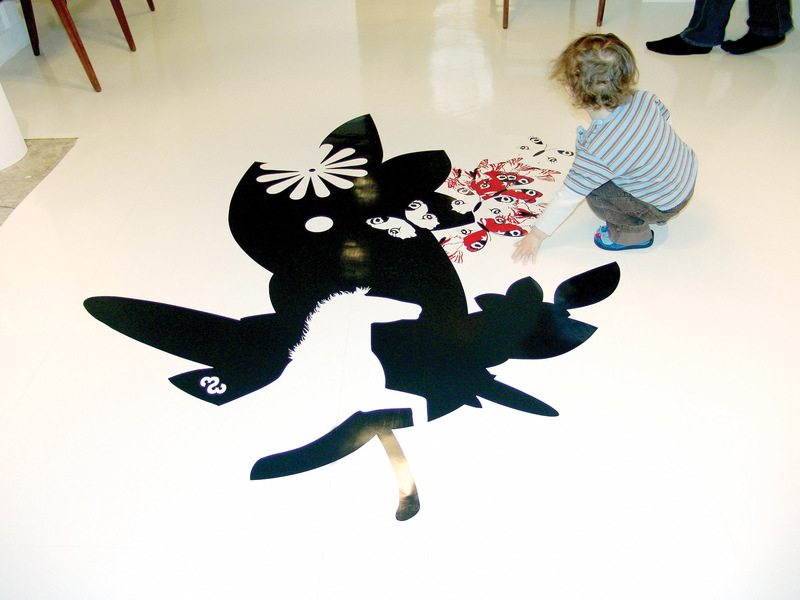 Our team would love to create a site-specific artwork for you, too.